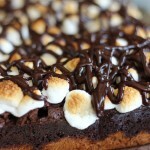 The fudgiest homemade brownie I’ve ever made tops a thick, buttery graham cracker crust, and a layer of melted marshmallows! 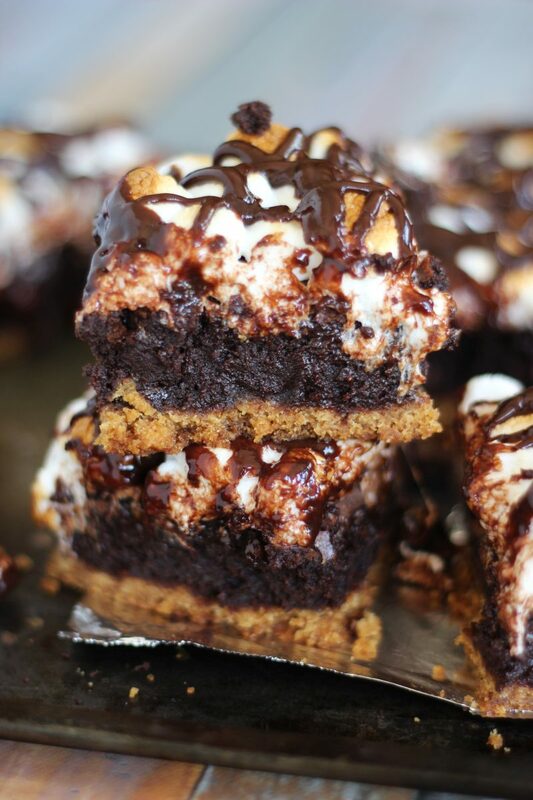 These Ultimate Fudgy S’mores Brownies are your new favorite for summer. They are mind-blowing and EASY! 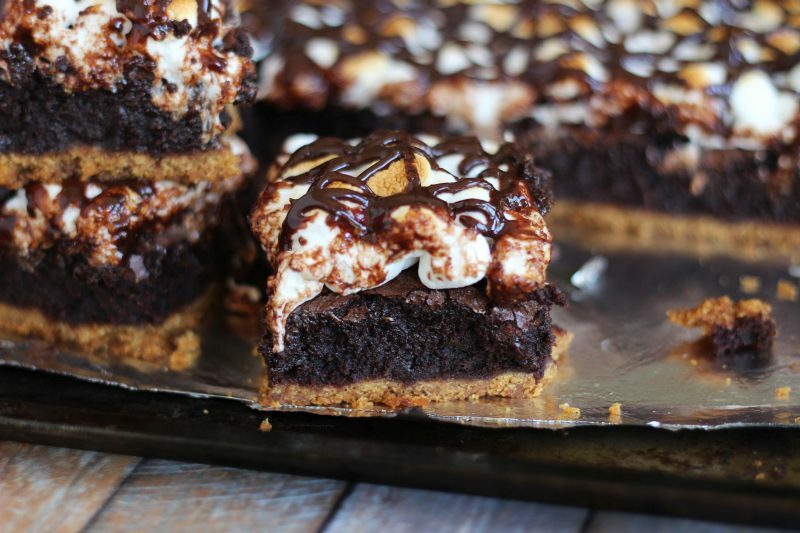 These Ultimate Fudgy S’mores Brownies are THE dessert of summer. Well, besides these Banana Split Ice Cream Dessert and this No-Bake Banana Split Pie. Otherwise, s’mores are the dessert of summer. If you’re anything like me, you have s’mores in the wintertime too though, even if it means roasting a marshmallow on a fork over your stove. I’m not encouraging you to do that, I’m just saying that it can be done. S’mores are one of my favorite desserts of all-time, like top 5. These Chocolate Donut S’mores are killer, especially because donuts also happen to be a top 5 favorite sweet treat of mine. And I’ve also shared these super fun Cookies ‘n Cream Brownie S’mores, and a 10-Minute Peanut Butter S’mores Dip that has to include peanut butter. Obviously. 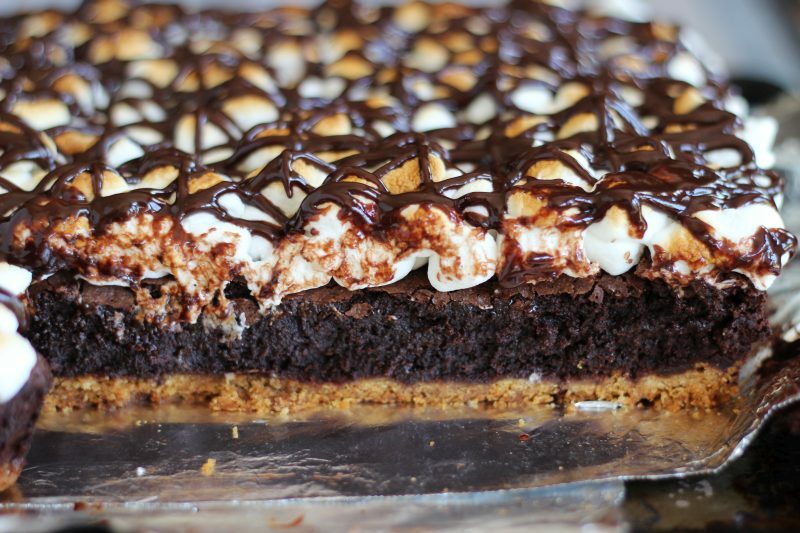 I made a no-bake hybrid s’mores pie/cheesecake last summer that was a big fat fail. I’m going to try to make that happen again this summer though…. successfully, if possible. One s’mores recipe for summer is not going to cut it. For now though, we have these Ultimate Fudgy S’mores Brownies. These start with a thick graham cracker crumb crust. 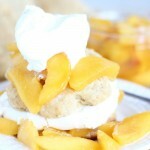 Sweet and buttery, and only 3 ingredients. 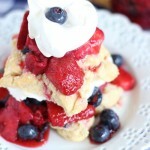 I’m not usually a huge fan of graham cracker crusts, but this one is so thick and buttery, it’s hard not to love. Plus, we’re talking about s’mores here – graham crackers are a must. 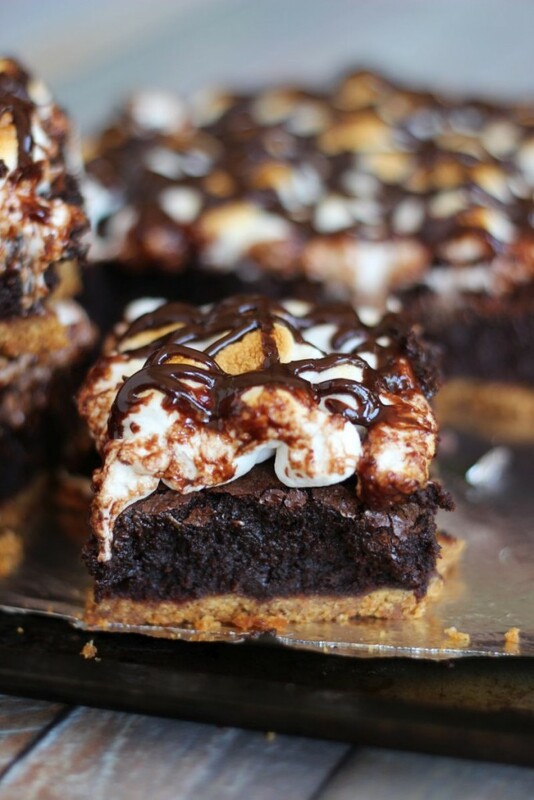 The brownie layer that tops the graham cracker crust is downright sinful on its own. 80% of the ingredient makeup for the brownie layer include butter, sugar, and cocoa powder. There’s a teeny bit of flour and a few eggs, but otherwise, it’s almost entirely made from just the big guns. The brownies are almost like fudge because they’re so rich and dense, but they’re still somehow soft and chewy. 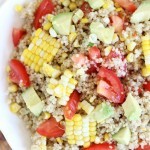 The texture is so special that you just have to try them for yourself. The batter was ridiculously fast and simple to whip up. 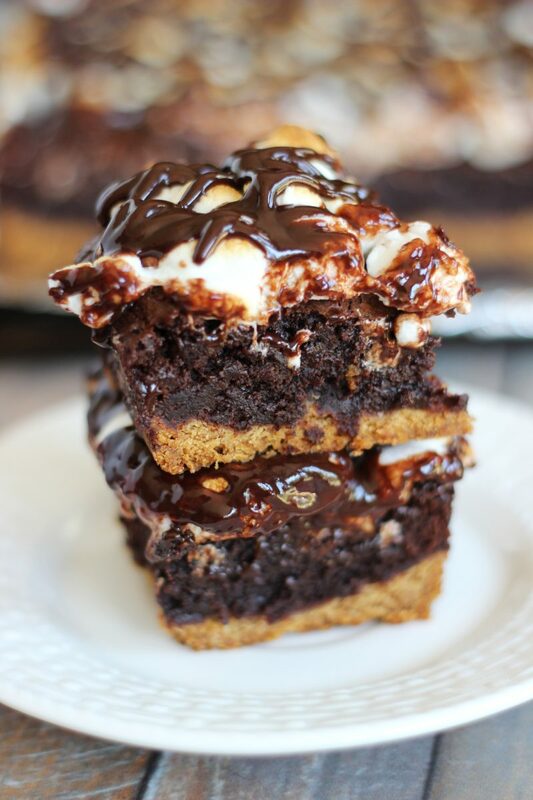 I’m an advocate of box brownies, but this Ultimate Fudge S’mores brownie batter has me considering turning my back on them permanently. For the final act, a pile of mini marshmallows is broiled on top of the brownie layer. Only takes about 60 seconds, but the marshmallows turn golden brown and get completely melty. 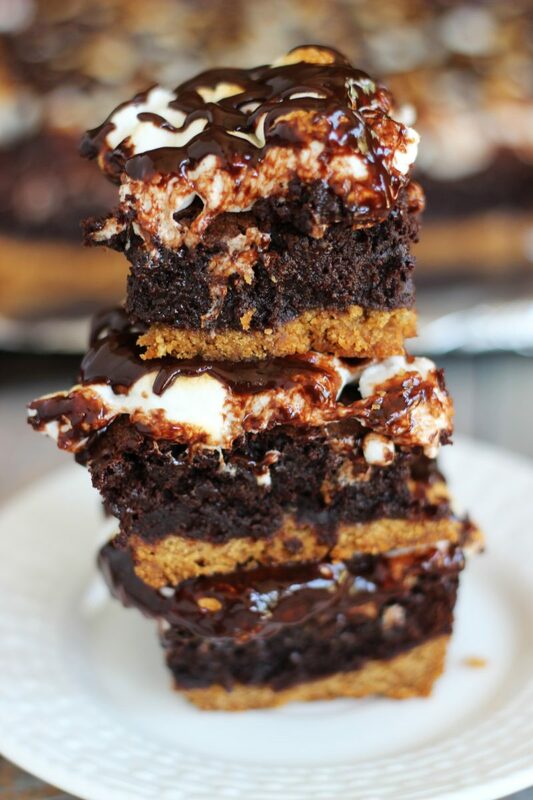 Three decadent layers of s’mores perfection in these Ultimate Fudgy S’mores Brownies. 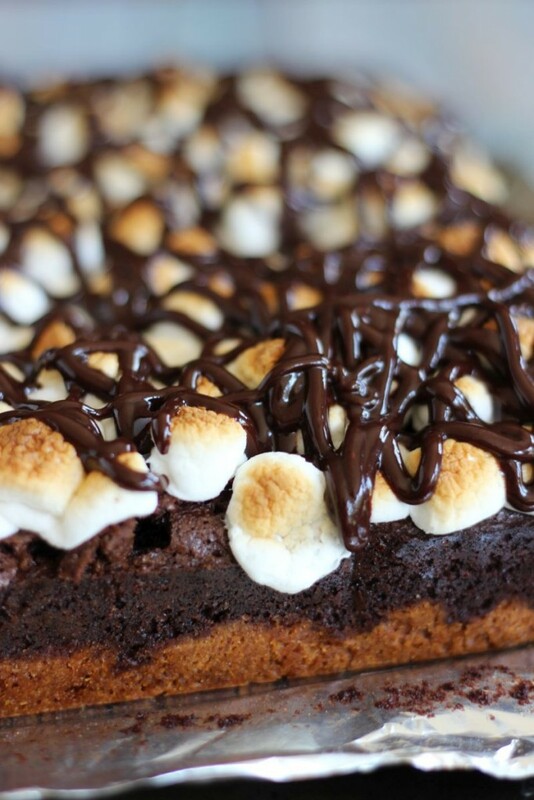 The fudgiest homemade brownie I've ever made tops a thick, buttery graham cracker crust, and a layer of melted marshmallows! Line a 9-inch square pan with foil, allowing it to hang over the edges. In a medium bowl, combine graham cracker crumbs, butter, and sugar. Bake at 350 degrees for 7-8 minutes, or until golden. Pour the brownie batter over the graham cracker crust. Turn the oven to broil on high. 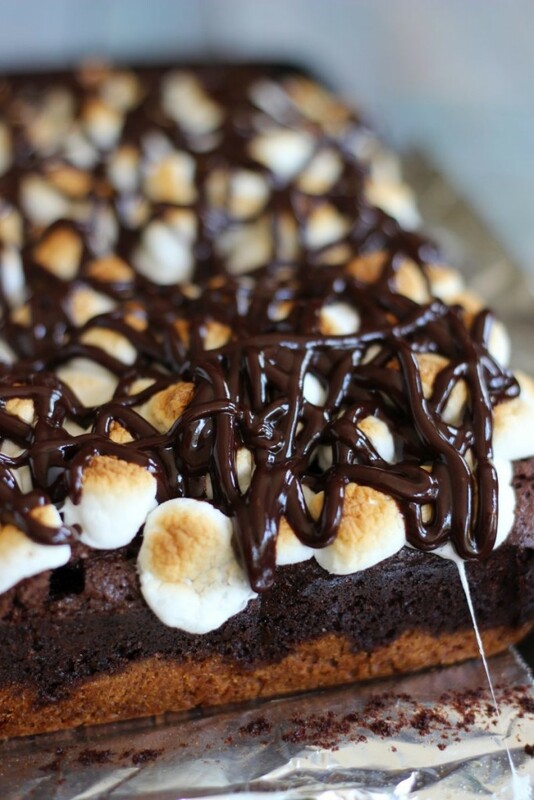 Scatter the hot brownies with mini marshmallows. Broil until golden, only about 1 minute. WATCH CLOSELY. Only takes about 1 minute, that's it! 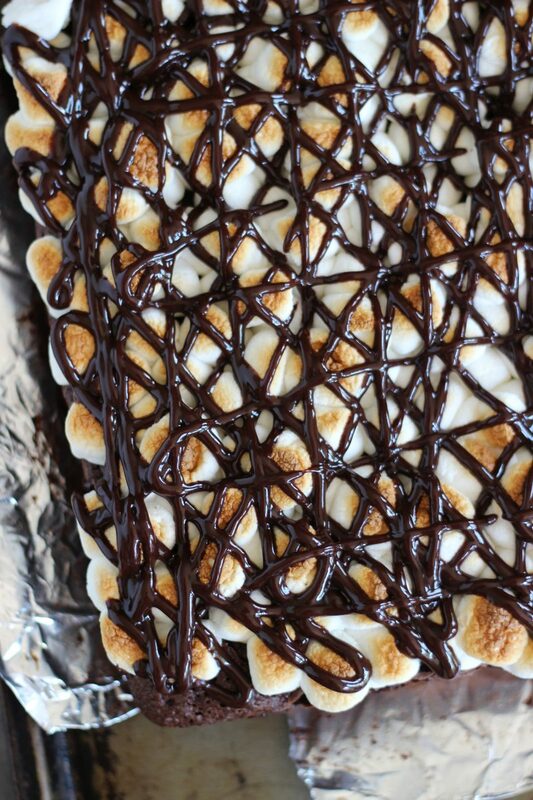 these brownies are gorgeous! 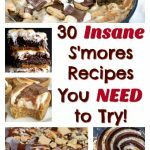 love anything s’mores too – so i definitely would love to try these. I think my mouth might be crying tears of joy. 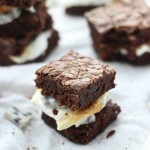 Well, that or I’m just drooling over these brownies uncontrollably. These are absolutely GORGEOUS!